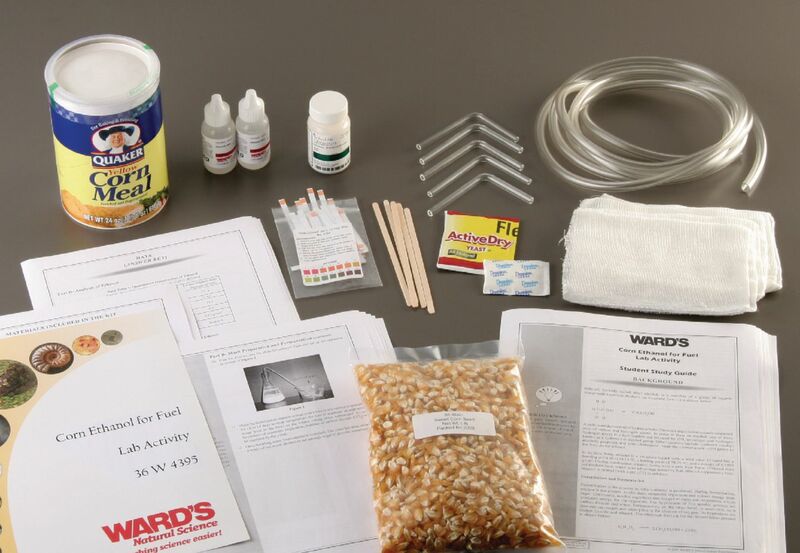 Demonstrate the creation of ethanol and examine its use and effectiveness with this student experiment. By performing germination, fermentation, and distillation procedures, students will produce ethanol and other products. Two methods are offered for germinating the corn seed and acquiring the enzymes required for saccharification of starches in the corn, so that students can compare each process. Applying concepts of volatility of liquids, evaporation, and condensation, students will examine the combustion of both lab-grade ethanol and corn ethanol. Observing the differences and similarities between the ethanol types will establish a complete understanding of this fuel. Students will then discuss the future of this new fuel source and its environmental, economic, and social impacts. Includes materials for five lab setups.